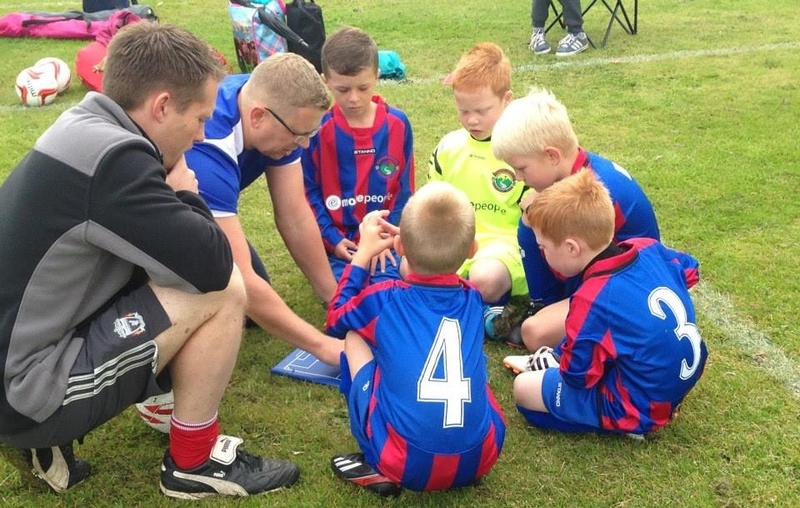 The Football Association has rolled out its new Level One and Level Two coaching courses - the first steps on the coaching pathway for grassroots football coaches across England. The launch of the new-look courses - announced on Club Website in May - marks the end of an 18-month process to modernise the FA's introduction to coaching, which they hope will improve the learning experience for coaches. The new courses are more integrated with the FA's Youth Module One and Two and will be structured around the England DNA philosophy - including the core elements of: How We Coach; How We Play; The Future Player and How We Support. The new Level One course will comprise eight half day modules - available in four full days - whilst the new Level Two course lasts 10 days over three different blocks of learning (see diagram below). Both courses place a greater emphasis on online and digital support, with a move towards ongoing assessment during courses, as the FA seeks to create a more flexible and personal learning experience for prospective and improving coaches. “The modern-day coach is ever-evolving and these changes represent a significant shift in helping us develop the quality of our grassroots coaching,” said Les Howie, the FA’s head of grassroots delivery. “We know that the grassroots game already has a number of talented young players in the system, and we want to be able to increase that with more quality coaches working with them in youth football. The new courses will cost the same as the previous versions - e.g. around £150 for Level One and £350 for Level Two (prices will vary), which works out at about £5 per hour of study. Discounts or bursaries may be available for Charter Standard clubs or coaches from under-represented groups. Technology will play a more central role in the new coaching structure, with various digital and online solutions – such as e-Learning modules – woven into both the content delivery and support. The manner in which coaches are assessed has also been updated, with traditional end-of-course assessment replaced by a more ongoing approach, where tutors observe and support coaches as they progress through the course. “What we’ve looked to do is to simplify the coaching pathway to support all coaches, whether they’re new to the journey or already part of it going forward,” added Howie. “This is an opportunity now to introduce the new content, look at a variety of blended learning techniques and really help to support coaches make the difference in developing players for the future." You can hear more from Les Howie on the new FA Level One and Two courses in the video below. New FA Level One and Level Two courses - have your say! Do you like the sound of the new-look FA courses? If you are a Level One coach, are you now more likely to take your Level Two? Do these changes bode well for the future of coaching in England, or is there still a lot of work to be done? Whatever your views, tell us what you think!